15:13 GMT – Bush orders Defence Secretary Gates to start a “humanitarian mission headed by the U.S. military” in Georgia. 14:39 GMT – Russian military reveals a Georgian drone was shot down over Tskhinvali last night. 14:20 GMT – Georgian troops have returned to their permanent bases, according to the country’s Defence Ministry. 13:33 GMT – Four Russian navy ships return from Abkhazia back to Sevastopol base, reports RIA Novosti. 13:14 GMT – Georgian Interior Ministry confirms Russian troops are not moving to Tskhinvali. 13:09 GMT – Withdrawal of Russian peacekeepers from Abkhazia is not subject to discussion, says Abkhazian President Bagapsh. 13:01 GMT – Russian peacekeepers deny Georgian reports claiming they are advancing towards Tbilisi. 13:00 GMT – Russian peacekeepers report they are removing military hardware and munitions from an unguarded Georgian depot in Gori. 12:46 GMT – EU will send observers to South Ossetia once a UN Security Council mandate is issued – EU foreign affairs chief Javier Solana. 12:36 GMT – EU Foreign Ministers approve the peaceful resolution plan agreed by Russia and Georgia. 12:05 GMT – EU says it is ready to send peacekeepers to Georgia. 11:24 GMT – Georgia’s withdrawal from the Abkhazia peacekeeping agreement is an attempt to create conditions for a new military adventure, says Russian Foreign Ministry. 10:50 GMT – Polish President Lech Kaczynski describes the ceasefire agreement as inadequate and calls on the EU to take a more decisive stance. 10:27 GMT – Saakashvili claims Russian military moved three Georgian ships from the port of Poti to the sea and sank them. 09:55 GMT – Moldovan breakaway republic of Transdniester announces a day of mourning for the victims of Georgian aggression. 08:28 GMT – The ceasefire in South Ossetia is a victory for the international community – Japanese Foreign Minister. 07:10 GMT – Russian Foreign Minister Sergey Lavrov, speaking at a press briefing in Moscow, says “traitorous” Georgian troops will no longer serve as peacekeepers in South Ossetia, and that Georgia should pay for the destruction of Tskhinvali. 06:11 GMT – Abkhaz armed forces fully regain control of Upper Kodori Gorge from Georgian troops. 06:10 GMT – Russia begins questioning of captured Georgian soldiers. 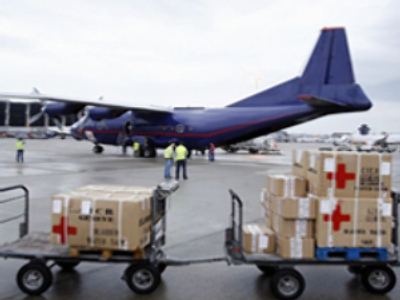 05:48 GMT – Kazakhstan sends humanitarian aid to conflict area. 05:33 GMT – EU will guarantee the conditions of the ceasefire and help introduce stability in the region – French President Nicholas Sarkozy. 20:01 GMT (August 12) – Russia begins day of mourning for victims of violence in South Ossetia.